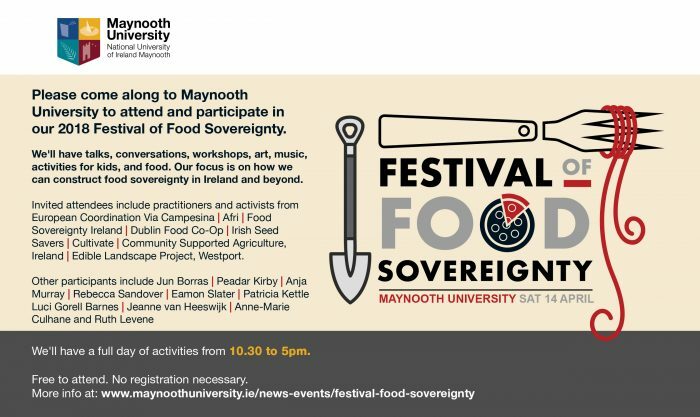 In 2017 the Department of Geography in co-operation with Afri organised the first Food Sovereignty Assembly in Maynooth University. We are happy to work together on the second such event this year. 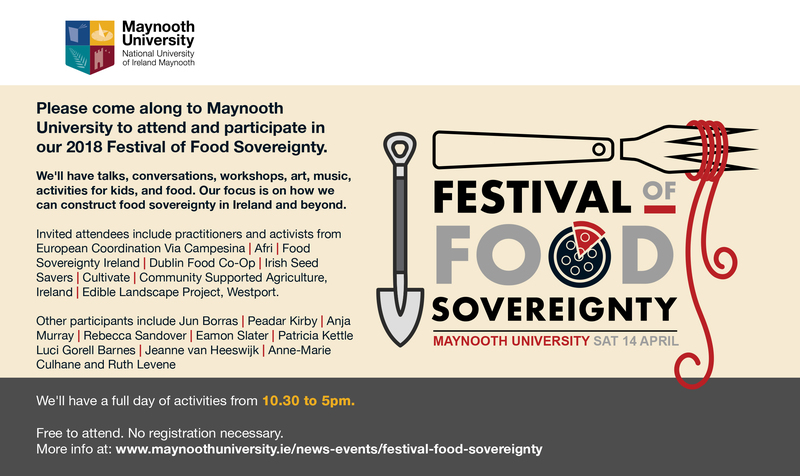 Come and join us on Saturday, April 14 2018.